The Met is home for the most creative and talented artists, including singers, conductors, composers, orchestra musicians, stage directors, designers, visual artists, choreographers, and dancers from around the world. Known as the venue for the worlds greatest voices, the Met has been under the musical direction of James Levine since 1976. Where else would you want to take in La Boheme and Madama Butterfly? I've been to the Met many times and always sit up in the Family Circle, because it's up there that you see genuine spectacle that will blow you away. For Dialogues des Carmilites, the shadows cast as a cage imprisoned the nuns was amazing; the contrasting cartoon and realistic sets for Manon were amazing, but it was Turandot, with its lake onstage that spectacle was at its finest. The royal palace is the only set I've ever seen that got applause. Not to mention those incredible voices. 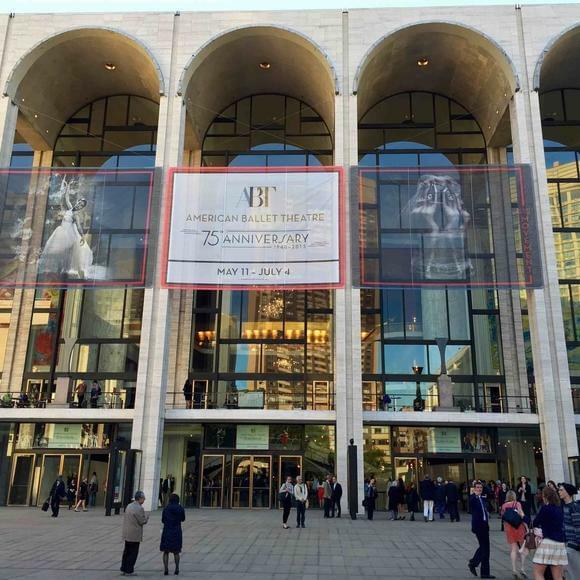 The Met is our nation's real showplace! The acoustics make this one of the best-sounding opera houses in the world and, for the price of a show (sometimes as low as $25), it is something everyone should experience in their lifetime. On Wednesday, May 27, 2015 two latinas ballerinas gave their farewell performances of Giselle. Paloma Herrera did the Matinee perfirmance. Xiomara Reyes the Evening. Each one in a different style and interpretation. Both superb. A very emotional day. On my second day in NYC my college friend took me to a backstage tour of the Metropolitan Opera. We were led into the labyrinthine halls and walkways and into the cavernous backstage! Our guide Magda was very informative and fun! She showed us into the costume department, the props department, the carpentry department, the wig department and in the green rooms! It is a very exciting and insightful walking tour! We ended the tour in the orchestra section and took a peek into the orchestra pit!